A head-on accident on West River Road took the life of a 47-year-old Sidney woman the night of June 15. Laurie Garland was pronounced dead at the scene of the crash, after her vehicle crossed the center line of West River Road and collided head-on with a vehicle containing two juveniles. Both of the juveniles suffered minor injuries and one was taken to the hospital for observation. The crash was reported at 9:48 p.m. the night of June 15 and closed the road for more than three hours while officials investigated. Alcohol was found at the scene of the accident, but officials have yet to disclose whether it might have played a role in the incident. Blood alcohol levels were taken as a matter of procedure. The Kennebec Journal reported that Garland had a history of driving offenses, including driving under the influence in 2013. Numerous officials were on hand to help with the accident scene, including police from Oakland and Winslow, firefighters from Sidney and an ambulance from Delta. At this time no charges have been filed. The Maine Bureau of Highway Safety reports that as of June 9, 2016, 54 traffic fatalities have occurred on state highways. The total is slightly higher than the previous year, which saw 48 fatalities by the same date in 2015. Of that number, three involved motorcycles and five involved pedestrians. One crash involved an on-road ATV and another involved a bicycle. According to the National Highway Traffic Safety Administration (NHTSA), there were 131 fatalities on Maine roads in 2014, the lowest number in 70 years. The Bangor Daily News reported early last year that state officials attributed the decline to a combination of changes in traffic laws, crackdowns on motor vehicle violations and education of Maine drivers to the potential dangers of driving in the state. The declines even came at a time when more commercial vehicles were allowed on the roads and speed limits increased in some areas. One of the top factors in fatal crashes in Maine during 2014 and other years has been speeding. However, an increase in the number of speeding tickets issued appeared to be curbing that problem somewhat. Seatbelt use was also up in the state, thanks to public education and enforcement. Lauren Steward, director of the Maine Bureau of Highway Safety told the Bangor Daily News in 2015 that the state had reached an 85-percent observed usage rate for seat belts. Despite the strides made by the state to curb road crashes, they do still occur. 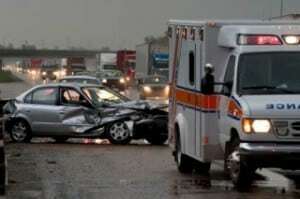 Victims of head-on collisions, as well as surviving family members, may be eligible for compensation for medical bills, lost wages, funeral expenses and other non-economic losses. Proving liability in these incidents is the key to getting damages needed to put lives back on track and allow healing to take place. If you are injured in a car accident in Maine or you lose a loved one in an unspeakable tragedy, proper legal representation can make all the difference in the outcome of your case. To get a free legal review and answers to all your questions, contact Hardy, Wolf & Downing today at 888-674-5762.